At mealtime, include your child in family conversation by encouraging your child to talk about what happened in school and listen as family members talk about their experiences. Cue your child to look at the speaker’s face. Eliminate as much background noise as possible. If your child has difficulty following or adding to a conversation appropriately, recap by speaking in short sentences with expression. Play games that require the players to use logic, strategies, and problem-solving. Spelling and vocabulary games are good. Games in which no one “loses” are best. Encourage the habit of making lists for a variety of purposes such as groceries, chores, and homework assignments. This helps to develop planning and organizational skills. Encourage your child to plan what to wear for the next day. Help the child to select clothes that are appropriate. Explain why some combinations may not match, and show your child other combinations that go well together. Let your child help select new clothes. Play the telephone game. One child whispers a secret to the next child, who whispers the secret to the next child, and so on. Watch good ½ hour television programmes that involve characters and plot development with your child. At the end of the program, discuss with your child opinions, solutions to problems, sequence of events, character flaws, poor choices made by characters, and alternative endings. Play games in the car that involve identification, for example finding license plates with particular letters or numbers. Ask riddles and sing silly songs. When reading stories, ask the child to recap what was heard, after a page or two. At the end of the story, ask the child to summarize the entire story (Kelly, D.A., 1995). Whatever your role within a pre-school or education setting you can benefit hugely from the excellent accredited training provided by the Elklan tutors. · Feel more confident in working with children with speech, language and communication need (SLCN). · Can be a specialist resource to the other members of staff in the school. · Understand the importance of their role in developing children's communication. · Can support the communication development of all children in the school environment across the curriculum and in the playground too! · Have a range of strategies at their disposal which can be used to support children's communication whatever and wherever they are being taught. · Feel more confident in interpreting SLT reports and programmes which means they can be implemented more easily and effectively. · Know how to modify their interactions which is of benefit to ALL children. · Can change the way they speak to children so they understand more of what is said. · Can encourage talking by using specific strategies such as modelling language which can be used anytime, anywhere! · Know the types of children they can work with and those which need to be seen by the speech and language therapist. · Are more confident in talking to parents about the child's speaking and listening skills. · Share a common language with the SLT service and so understand what they are being asked to do quickly and can complete activities more efficiently. I went to an excellent course on Friday by Maggie Johnson on Selective Mutism (SM). Thinking on this has changed so that it now needs to be considered as a phobia; a phobia of talking. Consequently, our approaches need to change. If we had a child who was scared of spiders we wouldn't expect then to confront their fears head-on immediately e.g. by sitting in a bath of spiders or putting their hand onto a box full. We wouldn't cajole, coax, bribe or order them to do it, yet we do all of those to children who are speech-phobic or selectively mute. If we had a child who had a phobia, we would use very small steps in any programme to help them overcome their fear. Similarly, we need to use very small steps with children who have SM. We are developing a new website with our friends at Devmac especially for parents. We are told so often that parents want to help their children but don't know where to look. The internet is a fantastic place to source information, in fact, we reported recently that this is exactly where parents are looking BUT how do they know what they find is any good? We will have lots of free downloads for information and simple games as well as resource packs, books and games that we have either written/devised or have reviewed and recommend. There will be videos showing parents exactly how to use them. We have lots planned! 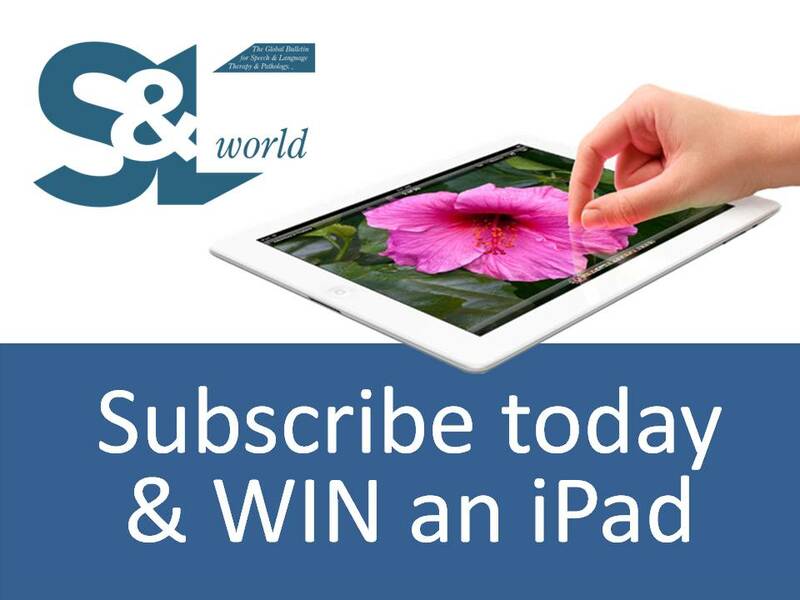 Be in with a chance of winning a year's subscription to S & L World: the global bulletin from SLT/P by commenting below. The August issue is out and is full of news, articles and features all about our favourite topic!The on-line magazine comes out 4 times a year. It's an excellent CPD opportunity. We are happy to include any of your news, examples of good practice, things you found useful (or those you would never repeat! ), articles, success stories and features. I am always looking for interesting personal stories or people to interview too. It's the best job in the world so let's come together to share what we are doing! 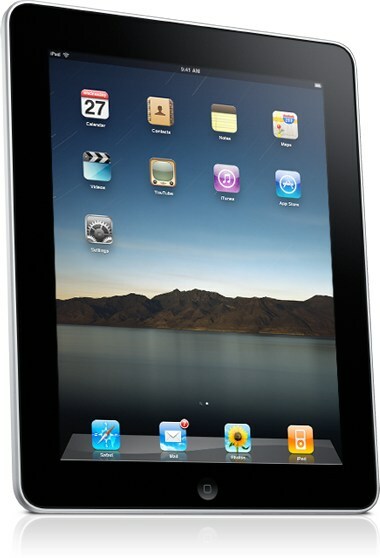 We are also giving away an ipad 2 to a lucky subscriber, so subscribe today to be in with a chance if winning. Closing date October 31st. The lucky winners will notified by email. Children and families bill: is it good for our children with SLaC needs? highlighting that the proposed changes with the right implementation could positively impact on the 1 million children in the UK with speech, language and communication needs (SLCN), and their families. The Trust has welcomed the emphasis on joint commissioning of services, the introduction of Education, Health and Care Plans, giving parents more choice through personalised budgets, as well as through a local offer to parents of children with SEN, including those with SLCN. However, it has highlighted the challenges and difficulties in implementing these. Anne Fox, Director of The Communication Trust, says: "The Children and Families Bill and the good intentions enshrined within it are welcomed, the devil as always will be in the detail. The Trust is working with its consortium members and partners across the private and public sector to ensure these proposed changes make a positive difference to families. "We know that children and young people with SLCN are at risk of being under-identified and not having their needs met because of a postcode lottery of services. It is imperative that they do not lose out,particularly because their difficulties can be 'hidden' or because they slip through the gap between services with no-one taking responsibility. This is why joint commissioning is so vital for these children but legislating for the NHS, local authorities and schools to work together to commission services won't be a silver bullet." Linda Lascelles, Chief Executive of Afasic, says: "We welcome the government’s commitment to improving the SEN system. The proposals alone in this bill will not address the problem of waiting times or assist the children's workforce to access specialist support such as education psychologists, speech and language therapists or SEN advisory teachers." In the UK today, one in ten children have some form of SLCN that can affect them early, severely and for life. SLCN is the most common type of primary need for pupils with SEN statements in maintained primary schools. As with any new legislation, we will have to wait and see what actually happens!